It's no fun having to interrupt your Wii gaming session due to a low battery warning message, and it's even worse if you can't find any fully charged spare batteries. Therefore, out of all accessories available for the Nintendo Wii, a charging kit for the Wiimote is likely one of the products that most users could benefit the most from. It will prevent low battery nuisances during gaming and will save you money in the long run as running through regular AA batteries like water can be quite expensive. 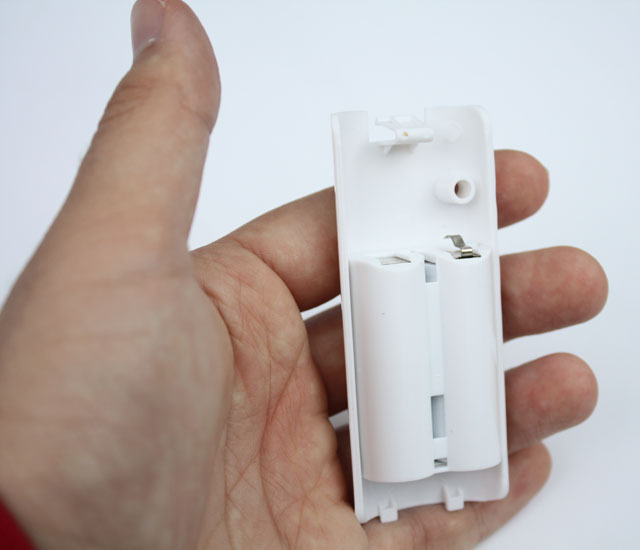 In this review I'm taking a look at the Dual Charging Dock Charge Station for Wii Remote w/ 2 Battery Pack from BudgetGadgets.com, it's a basic Wii charging kit that can charge two controllers at the same time. 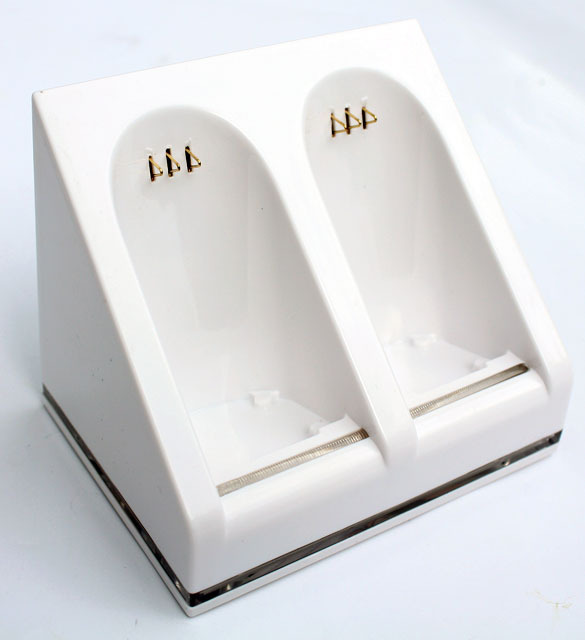 The dual dock charging station is available on the company's website for $14.60 with free shipping, making it one of the cheaper Wii charging solutions you can find online. 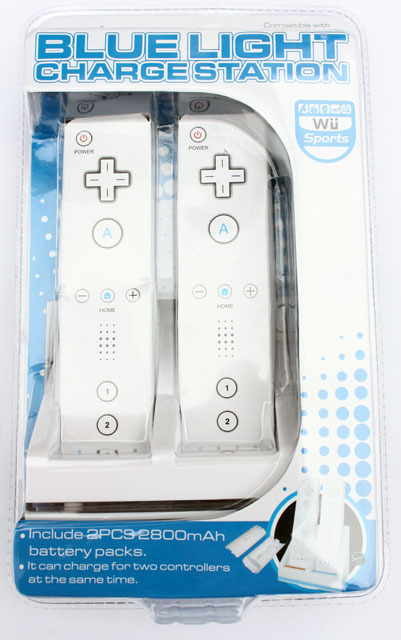 The product features a white plastic cradle that holds two Wiimotes. An on/off switch and the power input port are located on the back. 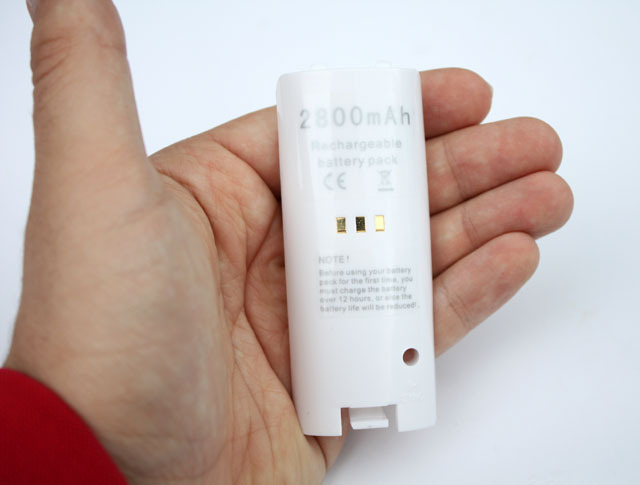 Two 2800mAh battery packs are included. The batteries are integrated into the cover and can't be replaced, if they're dead the whole kit becomes useless. The battery pack replaces the battery cover that comes with your Wiimote and it features a little hole that gives access to the sync button. The installation is pretty straightforward and the battery pack fits without a problem. 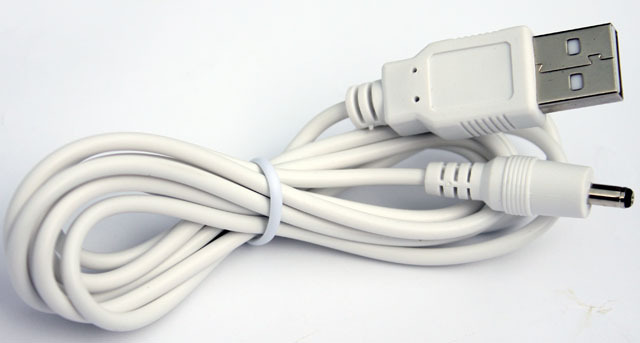 Unfortunately, this Wii charger doesn't use a wall outlet, you have to connect it to one of the USB ports of your Wii. 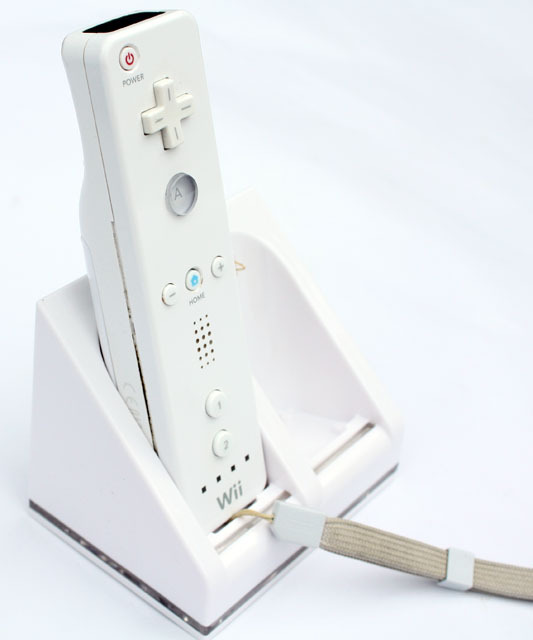 To use the charger you have to connect the USB cable to the USB port of your Wii console and turn on the power switch. The blue LED bar will indicate that the charger is on, and when you insert one or two Wiimote(s) a RED light bar will indicate that it's busy charging. 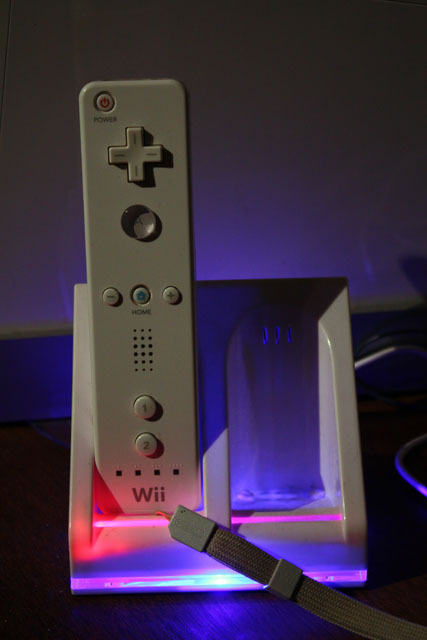 Once the Wiimote is fully charged, the LED light bar will turn blue. The documentation indicates the battery pack has to be charged for over 12 hours the first time, otherwise battery life may be reduced. One of the first things I don't like about this charger is the way it charges. When I'm done gaming I unplug the Wii so it doesn't keep guzzling up energy, but this charger requires you to leave your Wii activated. It can't charge the batteries when the Wii is in standby mode, so using this charger will result in a lot of unnecessary energy consumption. It's a quite inefficient way to charge your batteries, I'd much rather see a unit that uses the wall outlet instead of the Wii's USB port. Alternatively, if your computer is on most of the day you could connect the charger to one of the USB ports of your PC. My second complaint is the duration it takes to fully charge the batteries, it takes a whole night to recharge, and the battery life leaves much to be desired as I'm getting a lot less battery life than what standard AA batteries provide. Moreover, another nuisance is that this charger is not compatible with the Wii Remote Jacket and the Wii MotionPlus accessories. These product will have to be removed every time you want to charge your batteries. Basically, you get what you pay for. It's a basic product capable of charging two Wiimotes, but all the drawbacks make it hard to recommend. Unless you can't afford to spend a bit more I recommend getting a decent wall outlet model. I give the Dual Charging Dock Charge Station for Wii Remote w/ 2 Battery Pack a 4/10.